Has anti-viral and anti-parasitic properties. 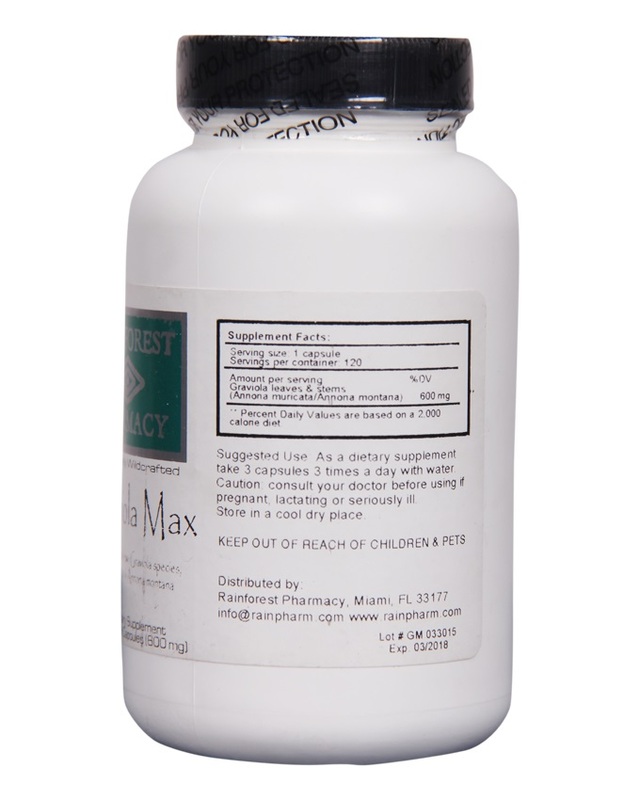 Graviola Max contains only pure herb powders – no other ingredients, it is 100% natural. Graviola Max NEW! A maximized blend of 2 Graviola species: Annona muricata and Annona montana in equal parts. Ecologically Wildcrafted Leaves & Stems 120 Vegetarian capsules: 600 mg/capsule. Graviola is still used extensively by native Indians in South America, including indigenous peoples of the Andes and the Caribbean, who use Graviola as a natural herbal remedy for health problems such as high blood pressure, digestive issues and infections. The popularity of Graviola continues to grow around the world in modern times as research into the plant’s unique properties continues. 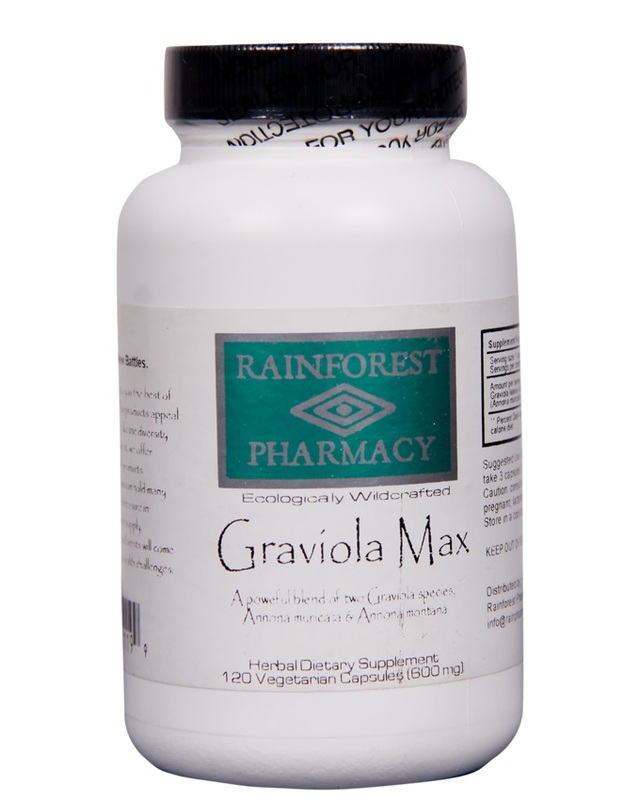 Our Graviola Max capsules work well alone or may be combined with other herbs that help the body get rid of toxins, strengthen the immune system or aid in recovery from illness. Cat’s Claw is often combined with Graviola for a potent combination. When taking Graviola supplements, drink plenty of water, as it may aid in the body’s elimination of toxins and dead cells. Graviola is traditionally used for auto-immune disorders. Herbs like these can also be used in conjunction with modern medicine when treating diseases like cancer under the careful guidance of a healthcare professional. The safest and most potent parts of Graviola are the stem and leaf, and there is some concern over use of the tree’s seeds. Raintree Graviola Max capsules are made with ground leaf and stem only to ensure the herb is as close to its pure form as possible and eliminate this concern. Caution: Not for use during pregnancy or lactation. If you are taking medications or have a medical condition, consult with a health care professional before use.